Citing lack of transparency, the ADR later challenged the electoral bond scheme in the Supreme Court, which last week asked parties to submit to the EC details of contributions through electoral bonds. DURING 2017-18, the BJP earned Rs 200 crore from electoral bonds and the Congress Rs 15 crore, the Association for Democratic Reforms (ADR) had said last January based on an analysis of the parties’ tax returns and contribution statements submitted with the Election Commission. No other national party declared any contributions through electoral bonds, according to details released by ADR. Citing lack of transparency, the ADR later challenged the electoral bond scheme in the Supreme Court, which last week asked parties to submit to the EC details of contributions through electoral bonds. Incidentally, the CPM, also a petitioner, had not submitted its returns at the time the ADR released its report. The Rs 200 crore that the BJP received through electoral bonds was out of Rs 1,027 crore declared by the party. This included Rs 553 crore received from undeclared sources; the amount through electoral bonds was part of that. 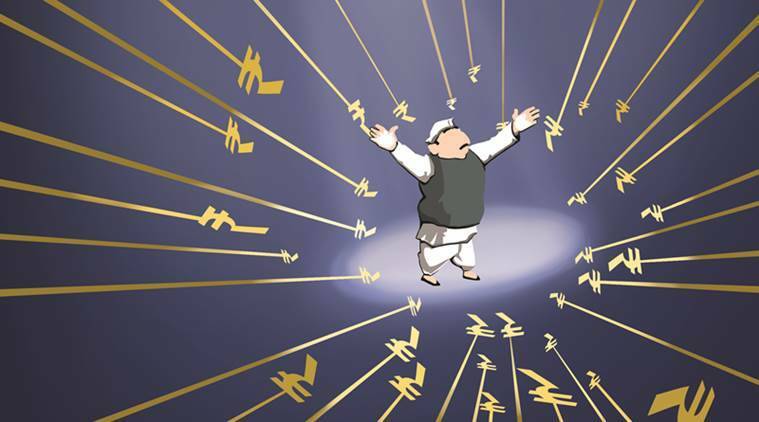 The Rs 15 crore collected by the Congress through electoral bonds, meanwhile, was out of Rs 120 crore received from unknown sources, and Rs 199 crore declared overall. 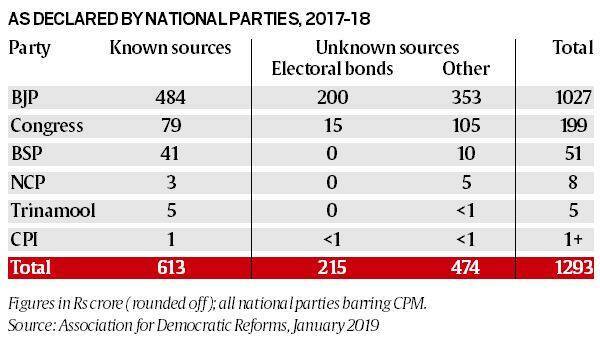 All national parties (barring CPM) considered, the Rs 215 crore received via electoral bonds accounted for nearly one-third of all contributions (Rs 689 crore) received from unknown sources.